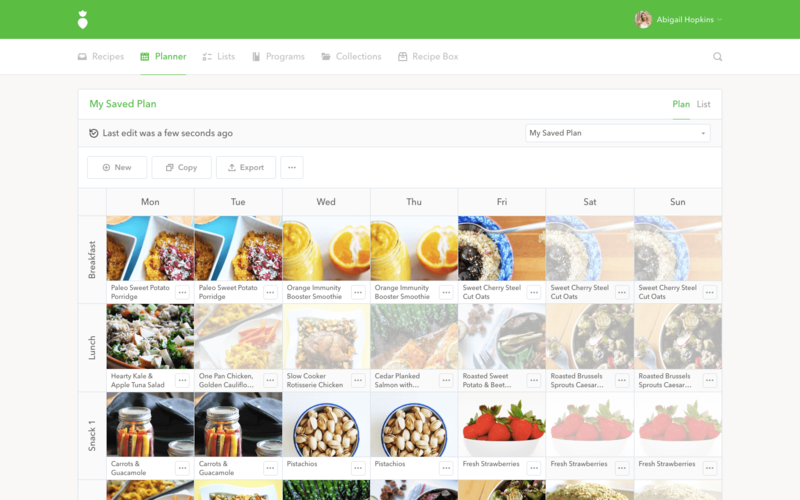 Plan meals, discover delicious healthy recipes and automate your grocery list. Stay motivated, organized and feeling awesome! 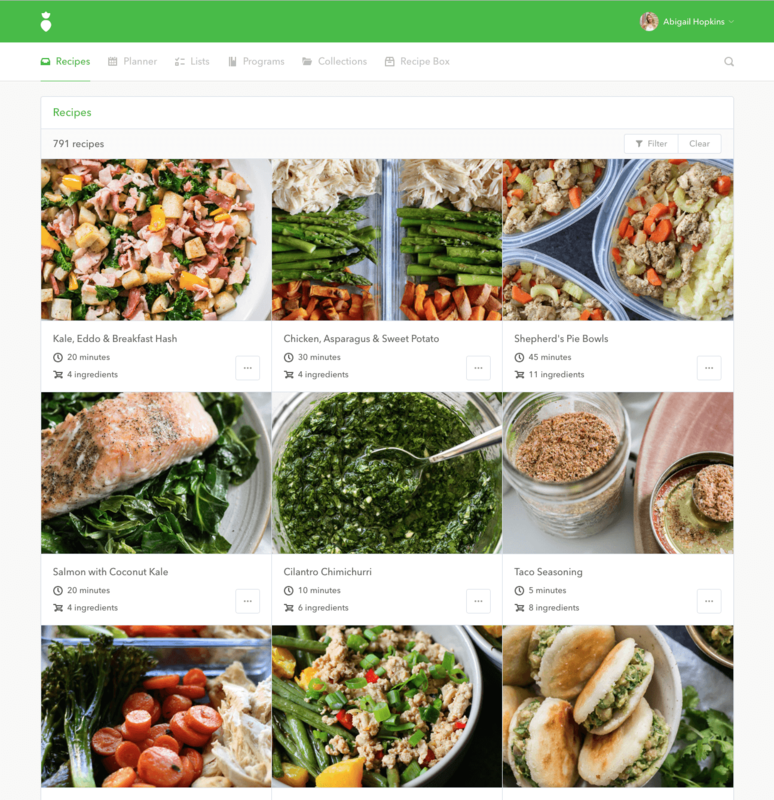 Your favourite healthy recipes, meal plans, grocery lists and private recipe box in a single place. One size does not fit all. We make it super simple for you to build and customize meal plans that are perfect for you. Easily find healthy meals perfect for you. 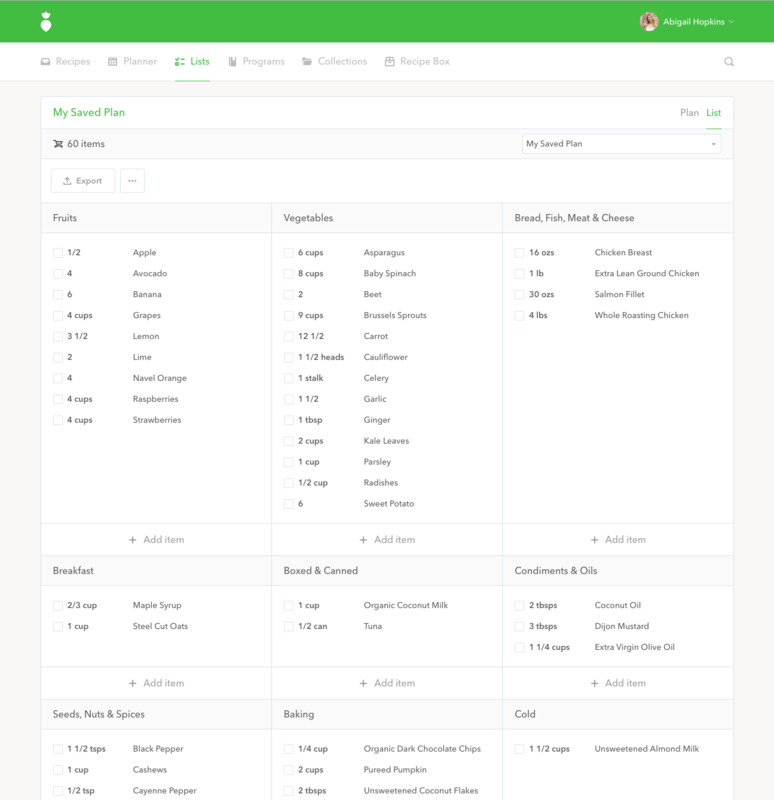 Filter by meal type, cooking time, nutrition, ingredient and dietary preferences. Join our awesome community and get support, ask questions and connect with other members. All recipes include nutrition info. If you're interested in calories, macros and more, we've got you covered. 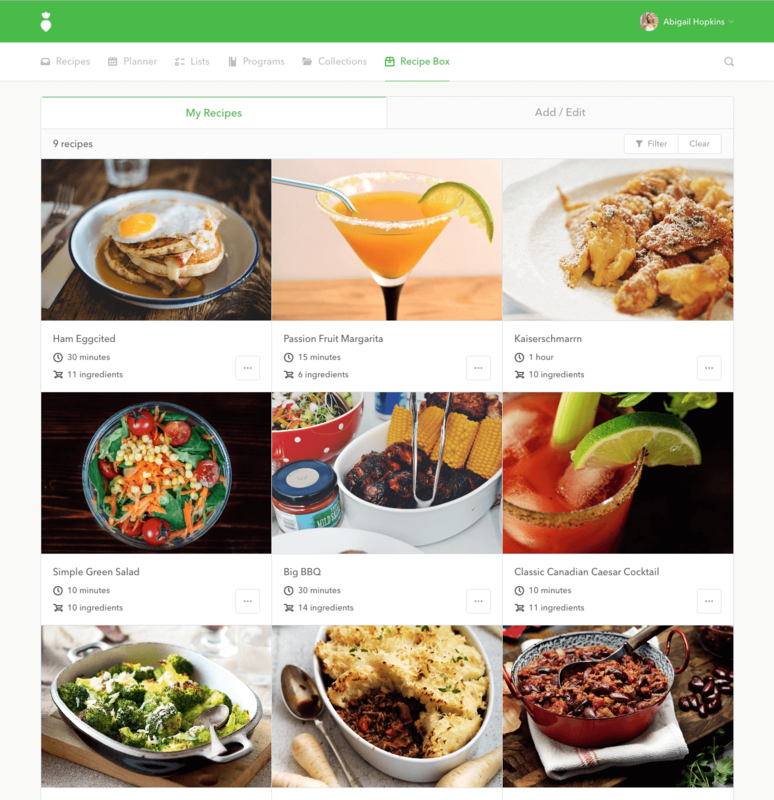 With a simple tap you can keep track of all the recipes you love. It’s like your very own private collection of recipes. 40+ Programs that include a meal plan, grocery list, recipes and prep guide. Ready for you to hit the ground running. Give our demo a try and see if it works for you, upgrade when you’re ready. "Having the ability to search for recipes by an ingredient is life changing. I can find a list of recipes based on the foods in my fridge that need to be used!" "That Clean Life has helped me eat healthier, and I feel better both physically and mentally. The automated grocery list makes shopping so much easier because I know exactly what to buy, and how much." "This has made me healthier, happier and enjoy an efficient approach to healthy cooking. I eat better and can bounce back after an off-week because That Clean Life gives me something to look forward to!" "That Clean Life has reintroduced real food in beautifully, curated recipes with suggestions to make recipes different each and every time. I am so happy to be part of such a welcoming and inclusive community!" "That Clean Life has taken the effort out of meal planning and grocery shopping. It has helped me to feel great about myself, and the food I am feeding my family!" "That Clean Life has helped me to consistently meal plan, which has led to less food waste, less money spent on groceries and a much healthier me!" 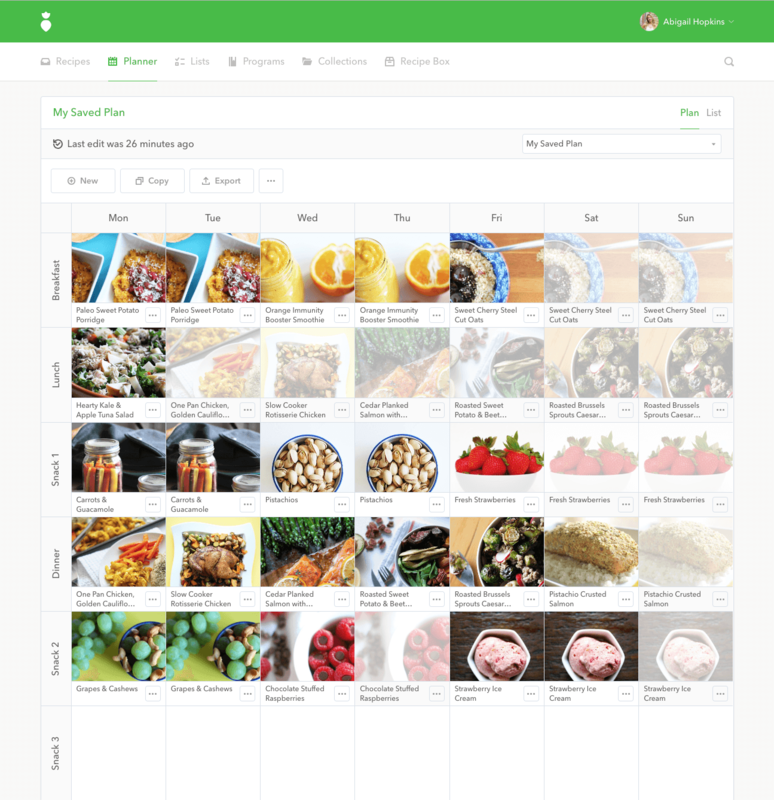 Plan your meals, discover delicious healthy recipes and automate your grocery list. Stay motivated, organized and feeling awesome!